I have five hours between flights at Changi Airport and Scoot made me collect my bags between them, meaning I'm not airside. My favourite thing in Singapore is the cheap traditional food in the local foodcourts all over the place known locally as "hawker stalls". I feel like strolling around. In there such a hawker stall near the airport, in walking distance? 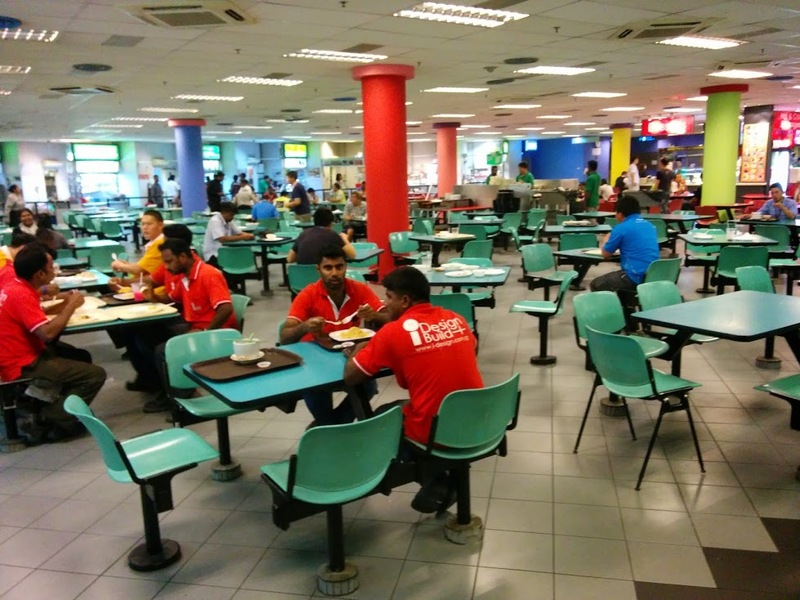 Yes: more specifically, the staff canteens at the airport are open to the public, serving authentic and tasty Singaporean fare at rock-bottom prices! 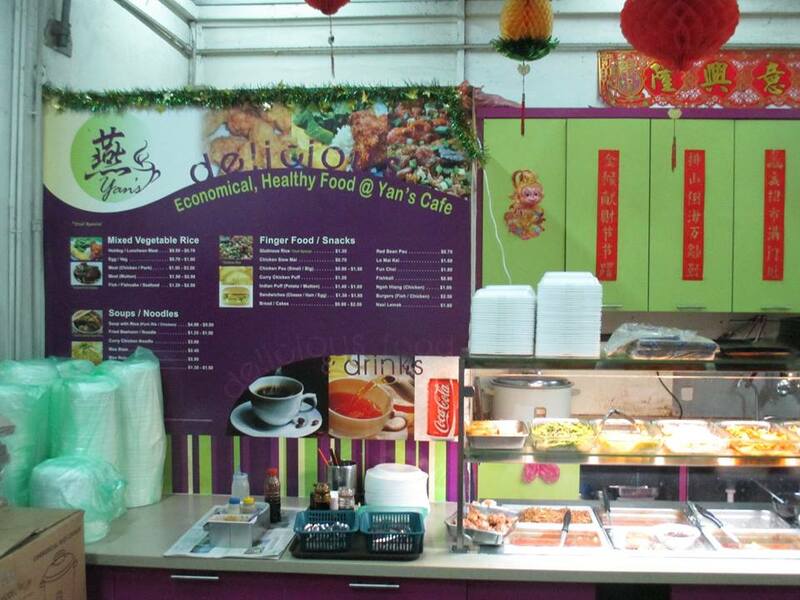 Despite the name "canteen", these are mini-hawker centres with a dozen or so independently run stalls each specializing in specific dishes/cuisines. 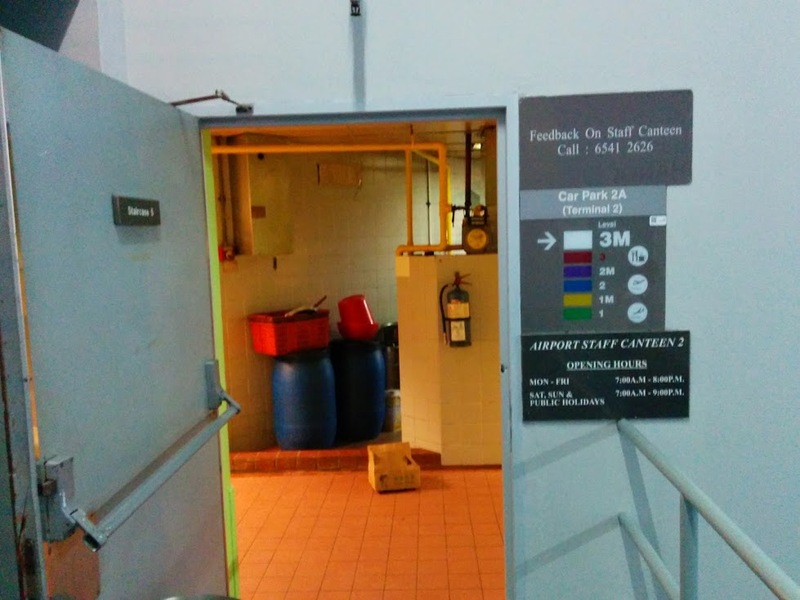 There is a similar but newer one in Terminal 1, detailed instructions here. TL;DR: find Row 13 in Departures hall, take lift at end down to B1. 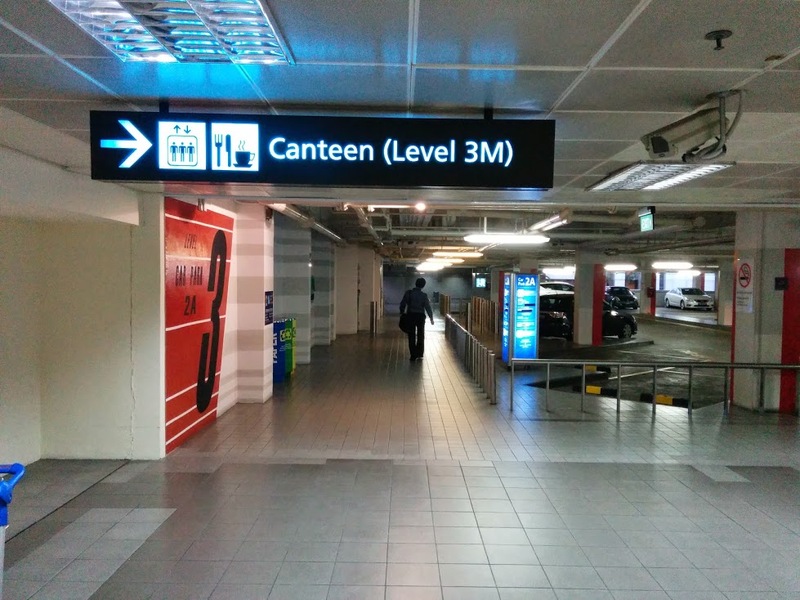 Finally, there's also a Kopitiam food court in the air-conditioned shopping mall below Terminal 3 (level B2), between the MRT station and arrivals. This is slightly more expensive, but it's also air-conditioned. This one is called "Yan's Cafe" and was kind of in an outside edge of the Terminal 2 building according to a reference to it I found online though at the time I thought it was the Terminal 3 building. 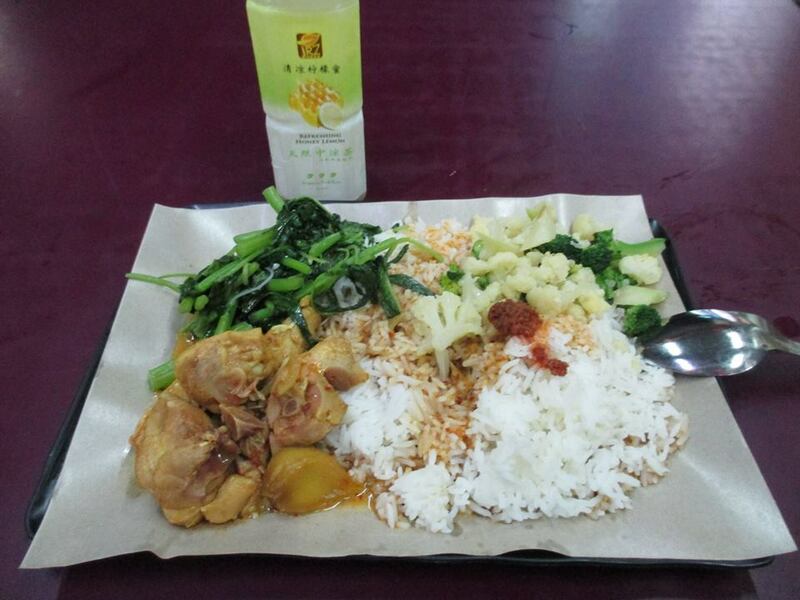 I enjoyed what I consider a pretty typical Singaporean canteen meal. Most of the customers seemed to be local taxi drivers, shuttlebus drivers, etc, rather than uniformed airport staff as in jpatokal's amazing answer. Google maps claims there is, with Hai Chang Fishhead Steamboat being identified as a Hawker Stall. 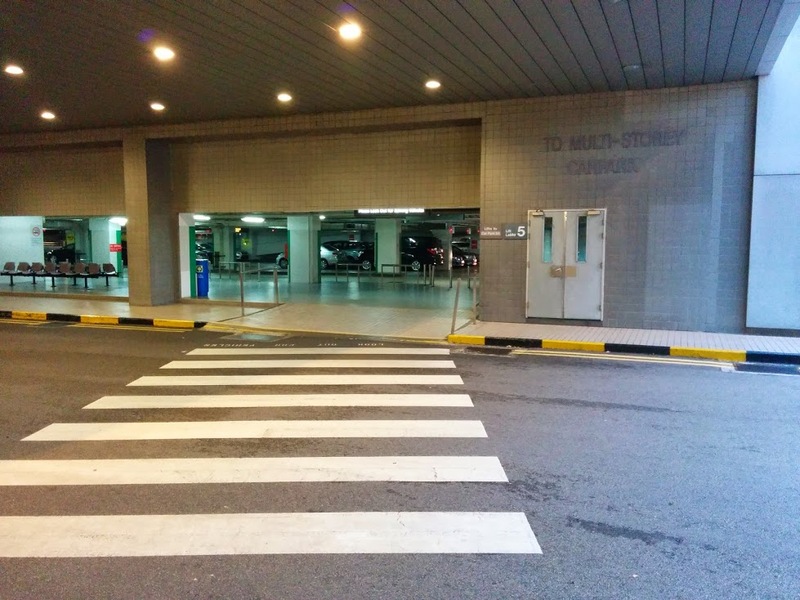 It appears to be a part of the Tampines Round Market, so is likely not the only one there. I can't get it to give walking directions, but it's about 4-5km if I eye-ball the distance, so for me that's walking distance, but YMMV. A blog review or two are available online if you'd like some photos. Not the answer you're looking for? Browse other questions tagged food-and-drink singapore local-cuisine local-knowledge sin or ask your own question. Are there any places that serve Korean food in Doi Mai or Mangalia in Romania?